There’s a lot at stake for a landlord when choosing a tenant. After all, choosing poorly can lead to a lot of lost time and money and even legal battles. And with the transient nature of much of the population in Anchorage, there will likely be many renters to choose from for each unit. So how do you as a landlord in Anchorage ensure you are getting the best tenant for your rental? It’s important to start the screening process with the initial contact. Let’s explore five important questions to ask prospective tenants and some of the red flag answers you, may hear. This question may seem obvious, but can reveal a lot about a potential tenant. Listen carefully to what they say. Red flags will include eviction, conflict with present landlord, or disagreements with neighbors. If you hear complaints or negativity, it’s ok to explore further, but be aware that this person may not be the best fit for you. Acceptable responses to this question include job changes, needing more or less room, location change, etc. How many occupants will be moving in? Do you have any pets? Check local ordinances for the maximum number of people allowed per bedroom or square foot. Just remember that more people in a unit often means more opportunity for wear and tear on the property. It’s advisable to stick to the two-person-per-bedroom rule of thumb. It is also important to have anyone over the age of 18 on the lease agreement, so consider asking them who would be signing the agreement. Red flag answers include an uncertain or variable number of occupants. It is also a red flag if more than one adult will be occupying but one or more refuse to be put on the agreement; this could mean they would not pass a background check or have something else to hide. Pets are a natural place to start, especially if you have a no-pet policy. This will quickly eliminate some prospective tenants who will make the rest of the screening process easier. The more upfront you are with your pet policy, the better you and the potential renter can determine if your unit is a good fit. This question is actually loaded with possibility to help you screen a tenant. Red flag answers include anything under 30 days. Now, there are obviously valid exceptions to this, such as illness or employment, etc. But too short notice could also mean the tenant is a poor planner, is being evicted, or is not planning on giving their current landlord 30 days notice. Be also wary of people looking more than 90 days in advance. It is likely you could lose money by not renting your unit sooner. Are you able to supply current and former employer and landlord references? If the answer to this is “no,” move on in your search; this is one of the biggest red flags a potential renter could give you. It is also advisable to interview another landlord in addition to the current one. It is always possible that the current landlord will give a bad tenant a good reference simply to get them out of the unit. Look for patterns in rental and employment history such as frequent, unexplained changes. Are you willing to complete a rental application, background check, and credit check? Again, if the answer is “no” to this question, move on in your search. A follow-up question to this is “what will I find with these checks?” You may be willing to overlook some negative marks on a person’s record, but one thing not to be overlooked is their honesty. Just remember, the most important aspect of screening tenants is to have a process in place and stick to it for EVERY one of your prospects.  The Fair Housing Act is a good resource to brush up on to avoid discrimination in your screening process. Each of the questions above is safe to ask and reveal valuable information about the renters you’re interviewing. Look out for those red-flag answers to help you choose the best tenants for your units.